The Kingdom Conspiracy has been declared dead and buried as Matt Taven, who for months has been calling himself the Uncrowned Ring of Honor World Champion, now has a purple version of the Ring of Honor World Championship in tow and is calling himself The Real World Champion. Taven’s claim is not without merit: denied of his scheduled title match in Lowell, MA in front of a record crowd filled with friends and family due to an injury to then-World Champion Dalton Castle, Taven then fought Castle, Jay Lethal, and Cody with the title on the line in Fairfax, VA. With the referee checking on a downed Lethal, Taven had the Champion pinned, devoid of any cheap shots, foreign objects, or cheating for over eight seconds. 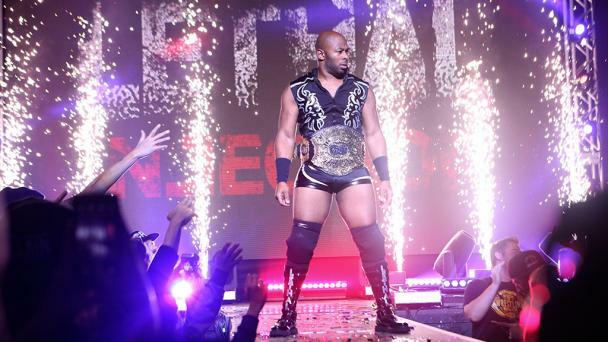 Lethal would win the World Championship and defend the Championship in the UK against Mark Haskins, against Flip Gordon at All In, against Jonathan Gresham in an Iron Man match, and against Will Ospreay at Death Before Dishonor while Taven would fulfill commitments in Mexico, where he has become one of CMLL’s biggest stars. Taven wrestled in the Main Event of CMLL’s signature 85th Anniversary and has seen his star soar and his stock rise. That rise was marked with a punctuation when Taven and his Kingdom attacked Lethal following his title retention against Ospreay in Vegas. Jonathan Gresham, an opponent Lethal respects and a man with whom he has defeated the Young Bucks, attempted to make the save but the numbers were too much. 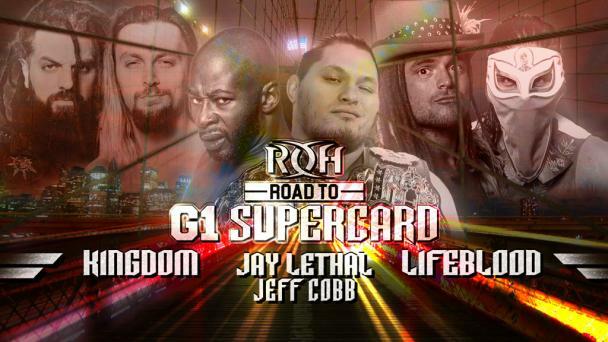 Now, Lethal and Gresham want revenge and promise to bring a mystery partner to even the odds in Philly! The Kingdom called their shot at Death Before Dishonor. 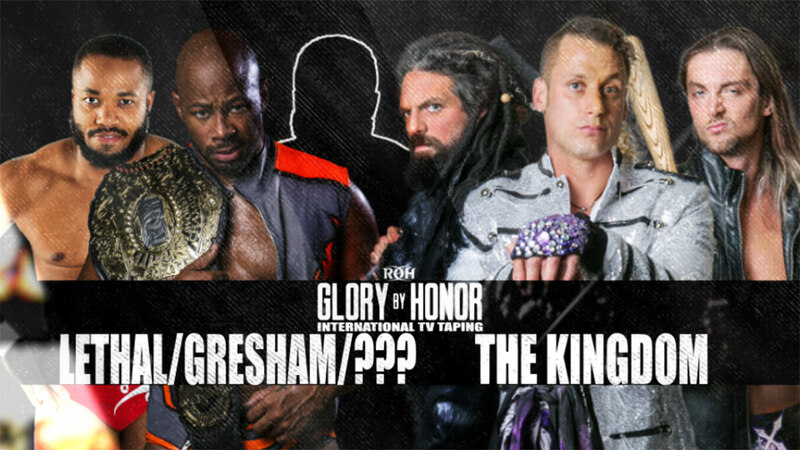 With Matt Taven supposedly in Mexico ahead of his participation in CMLL’s signature yearly event The International Gran Prix and TK O’Ryan and Vinny Marseglia not scheduled to be in Las Vegas, the trio attacked Lethal, Ospreay, and Gresham, attempting to make the save, before unveiling a ROH World Championship with purple leather, claiming it is the real World Championship belt. 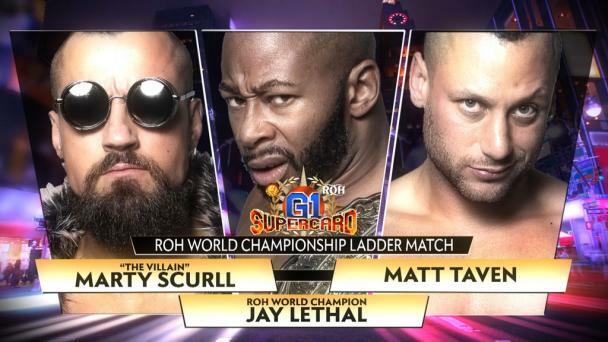 With The Kingdom standing tall over the fallen Lethal and Gresham, Taven began to pontificate and mentioned after the Pay Per View broadcast had concluded that he is the Real World Champion and will even defend the Championship as such. 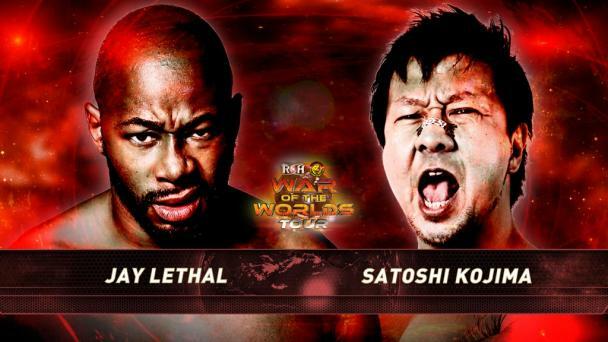 The claim did not stand well with Lethal and, following the beatdown, Lethal wants to get his longtime rival in the ring. 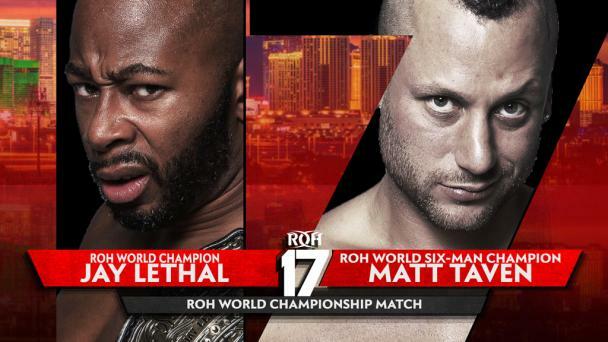 The two had a classic rivalry in 2014 over the ROH World Television Championship and the embers have been stoked once again, with Taven defeating Lethal at the end of 2017 and Lethal avenging his loss in May of this year in the UK. But Lethal isn’t alone in looking for revenge – Gresham, who was also left laying, wants to get his hands on The Kingdom! The two say they have the perfect partner and want to give The Kingdom a taste of their own element of surprise in Philly! 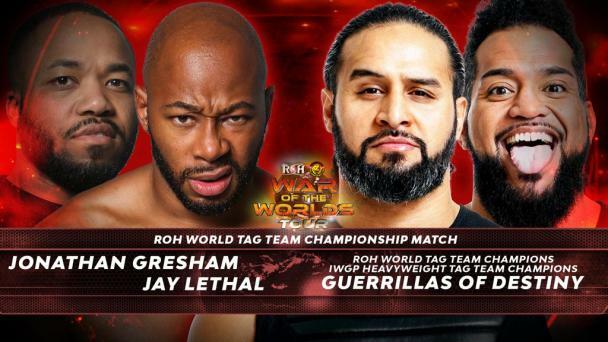 Who will Lethal and Gresham bring to Philly to face the two-time ROH World Six-Man Tag Team Champions, a team that includes a man calling himself The Real World Champion? Join us to be the first to find out! 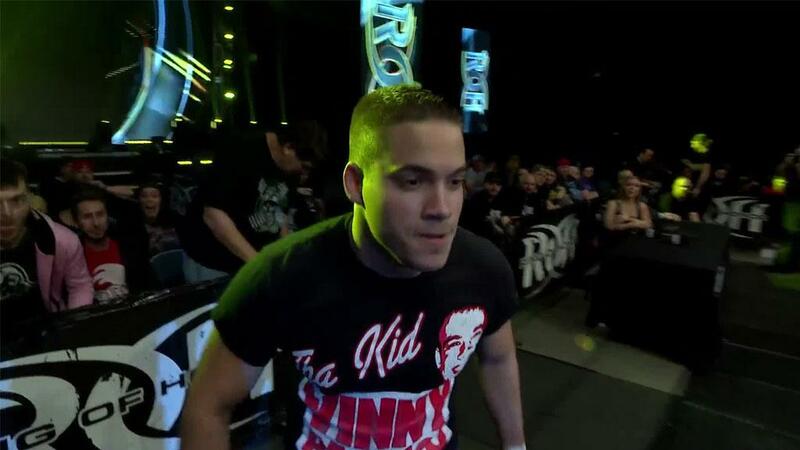 There is nothing like seeing the hard-hitting, in-your-face action that only ROH can deliver! 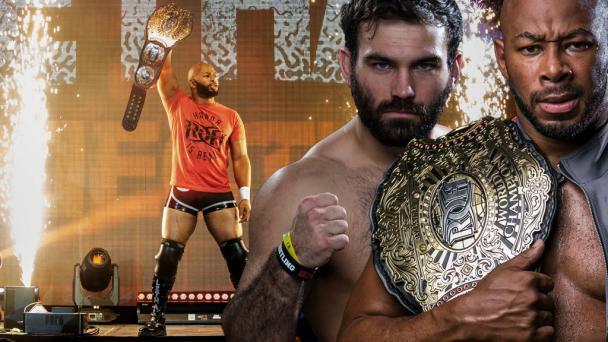 ROH returns to Philadelphia’s 2300 Arena on Sunday October 14 for GLORY BY HONOR - PHILADELPHIA, an international television taping! 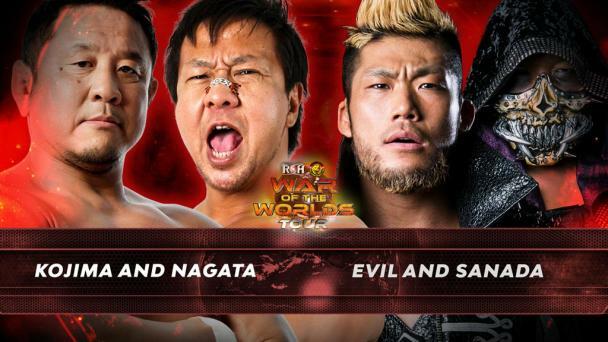 Philadelphia fans always sell out the 2300 Arena so be sure to get your tickets NOW and see the action before it is broadcast across the world on ROH Television!